Nanocarriers (NCs) have a high potential as target-specific drug-delivery system. Especially immune cells are a prime target in the nanoparticle-cell interaction. Uptake into the correct subtype of immune cells is crucial. Therefore uptake processes as well as intracellular processing is of utmost importance. The so-called protein corona heavily affects the interaction with immune cells which can decide the fate of the NC for degradation. 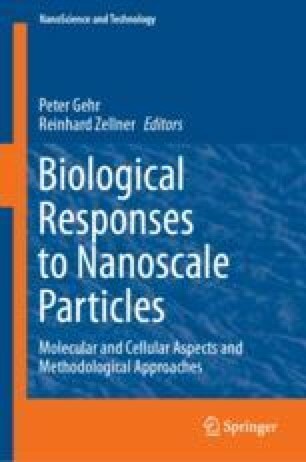 On a wider perspective also nanoparticles which were not intentionally made for the transport of drugs get in contact with immune cells e.g. in the lungs. These immune cells are then trying to degrade these foreign materials.